FTL Peppa Pig, Cbeebies Magazine and Top Gear Magazine all perform well. The latest round of ABC figures have delivered good news for Redan Publishing, BBC Magazines and Immediate Media. 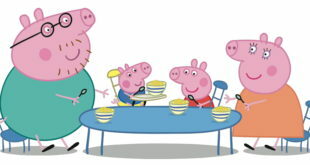 Redan’s flagship titles maintained their top spots, with FTL Peppa Pig magazine taking the number one spot for the seventh consecutive reporting period. The pre-school title had an average sale of 98,057 copies, an average of five per cent year on year. 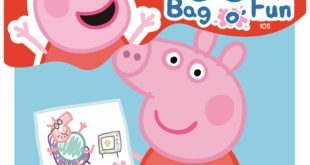 Meanwhile, sister title FTL Peppa Pig Bag-O-Fun continued to grow in second place, with an average sale of 75,046 copies per issue. FTL Friends takes third place with an average sale of 58,404. There was also good news for Redan’s girls’ title Sparkle World, which reported a year on year increase of 12 per cent with an average sale of 48,747. 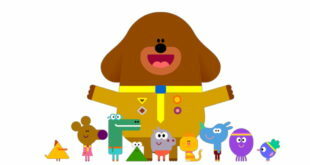 Meanwhile, Immediate says that it remains the number one publisher in the overall Children’s market, with Cbeebies Magazine a success at its new fortnightly frequency. The title delivered an ABC of 55,381 for January to June 2014, up 29.7 per cent on the period. Overall, the firm’s Youth & Children’s portfolio delivered an ABC up 2.2 per cent year on year. Finally, BBC Top Gear Magazine goes from strength to strength as the strongest performer in the motoring market, with double the sales of its nearest rival and downloads of its award winning app up 25 per cent year on year. Indeed, with a combined print and digital figure of 143,160, BBC Top Gear Magazine sells more than FHM, GQ and Esquire. It is the number two biggest seller in the men’s lifestyle market behind Men’s Health. Simon Carrington, publisher of BBC Top Gear Magazine, commented: "Top Gear continues to be a brand at the top of its game." Next A first look at Stormtroopers from Star Wars: Episode VII?